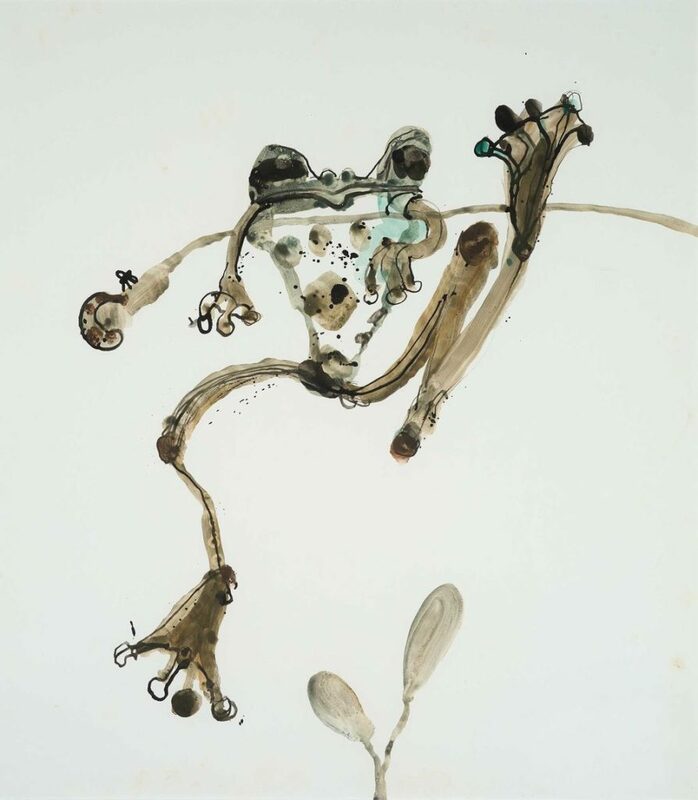 John Olsen fine art print work titled Hanging Tree Frog is a Limited edition fine art reproduction print, hand signed lower right by the Artist. Hanging Tree Frog has been blind embossed in the corner with a Kookburra design and drawn by John Olsen to confirm authenticity. Hanging Tree Frog is printed using Japanese pigment ink onto 308gsm Hahnemuhle fine art museum standard archival paper. Framing for John Olsen Hanging Tree Frog print is available if you wish in Sydney and Melbourne. Shipping, Etching House ships globally, insured and tracked with a door to door service for all John Olsen fine art work prints and etchings.